A leading supply audit specialist has identified the foods that are most commonly counterfeited in global food production. 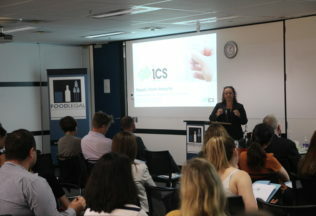 Margaret Balfour, the managing director of Integrity Compliance Solutions, was speaking at the recent FoodLegal symposium on imports and exports, held in Sydney on 22 November 2016. She gave illustrations of her experiences in exposure of counterfeit foods and ingredients in relation to imports from China and elsewhere. She said food fraud is driven largely by the opportunity of substituting a food or ingredient in a product when a cheaper safe alternative can be found. Fruit juices (particularly pomegranate, orange and apple juice). Fruit juices are susceptible to being watered down before colouring and sweetener is added to make them appear more concentrated. A sorbitol analysis conducted on fruit juice is able to detect some counterfeit products by distinguishing whether the sugar in the juice is naturally occurring or has been artificially added. Olive oil. Difficulty in assessing the origin and quality of olive oil, combined with lower production in different seasons, makes olive oil a popular food to fake. Forbes has reported that up to 80 percent of Italian olive oil is fake. Olive oil may be mixed with other oils such as canola oil or sunflower oil, or presented as virgin or extra virgin when it is in fact of a lesser quality. Spices (such as oregano, pepper and saffron). Counterfeit spices are one of the oldest types of food fraud. Spices can be “watered down” with other ingredients in an effort to save costs. Recently, Australian Food News reported on an investigation that found only five of 12 Australian oregano products consisted of 100% oregano. The Australian Competition and Consumer Commission has accepted enforceable undertakings by two firms, the products of whom included olive leaves in their oregano products. Coffee. A growing coffee culture and greater emphasis on single origin and ethically sourced beans has created an incentive for counterfeiters to pass off inferior coffee beans as premium. Coffee may be diluted with cheaper beans, or may be mislabelled completely. In the worst case, it may be packed with ground twigs, leaves or coloured sawdust. However, better technology is now emerging that makes it easier to test the purity of coffee and identify the type of coffee beans present. Honey and maple syrup. Honey has become more difficult to produce due to numerous factors due to honey bee diseases, warmer climates and higher levels of deforestation. Fraudulent honey and maple syrup can contain added sugars or sweeteners such as corn syrup, as well as antibiotics and heavy metals. Fish. Australian Food News recently reported the widespread mislabelling of fish in all sectors of the supply chain. A recent US study has found that up to one in five pieces of seafood had been mislabelled. Tea. Like coffee, an increased interest in different varieties of tea has opened up an attractive market for fraudsters. Cheap products can be labelled and passed off as expensive authentic Chinese tea leaves. Milk. Counterfeit milk has become more common in Asian markets due to high levels of demand. Recent scandals have seen the adulteration of milk through the inclusion of contaminants such as urea, caustic soda and melamine (the latter being a nitrogenous toxic plasticizer that artificially inflated the ‘protein’ count in the milk). Organic foods. With increased emphasis on promoting foods as “organic”, there has also been an increase in the number of foods that claim to be organic despite containing ingredients that are not considered organic. A study by the US Department of Agriculture found that over 40% of organic foods sold in the US used pesticides at higher levels than appropriate for organic foods. Grains. The high-volume trade of grains such as rice in Asian markets has seen the use of plastics such as resin to supplement production. This presents obvious health risks if consumed regularly, and often the difference can only be ascertained by the consumer once the grain has been cooked. Wine. Adulteration of wine is relatively commonplace. Different grape blends or other chemicals can be added to low-quality wine to give it the appearance of a higher quality product. A recent scandal saw an arrest made in the US after low-quality wine had systematically been relabelled and sold as expensive wines. Meat. Fake meat has been the subject of a number of controversies. There have been numerous reports of meat that has added water or colouring to make it appear to be a superior product. The background of meat can also be misrepresented. Beef can be labelled as Wagyu when it is not. Perhaps most famous was the “horse meat” scandal, where it was revealed that a substantial amount of horse meat had been imported into the UK after it had been labelled as beef. Kettle Australia is now selling popcorn and sweet potato chips.